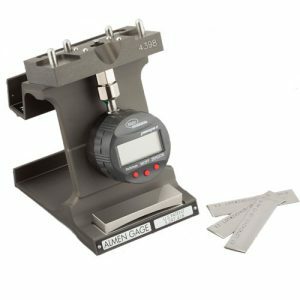 Precison crafted in the USA, the Electronics Inc. (EI) #2 Almen gage has the features needed to satisfy the requirements of SAE J 442 and AMS 2430. Easy-to-read display. Our gage has a large digital display that is English/metric convertible and can be rotated so that Almen strip tests can be performed standing or sitting. .0001” (.001 mm) resolution. Meets SAE and aerospace specifications including SAE J 442 and AMS 2430. These Rotary Flap Peening classes are offered at every Electronics Inc. Seminar and on-site training program.